The statement is a response to comments that Gov. Pat McCrory made during a forum on startup companies hosted by ExitEvent on Wednesday. The governor said the Chamber, which is the state's largest business lobby, wrote parts of the law, which limits anti-discrimination protections for LGBT people. About halfway through the forum, the governor was asked about a group of startups that has come out against HB2. McCrory suggested opponents of the law do not understand it. "I think if you did a survey of what HB2 is, no one knows what it is. 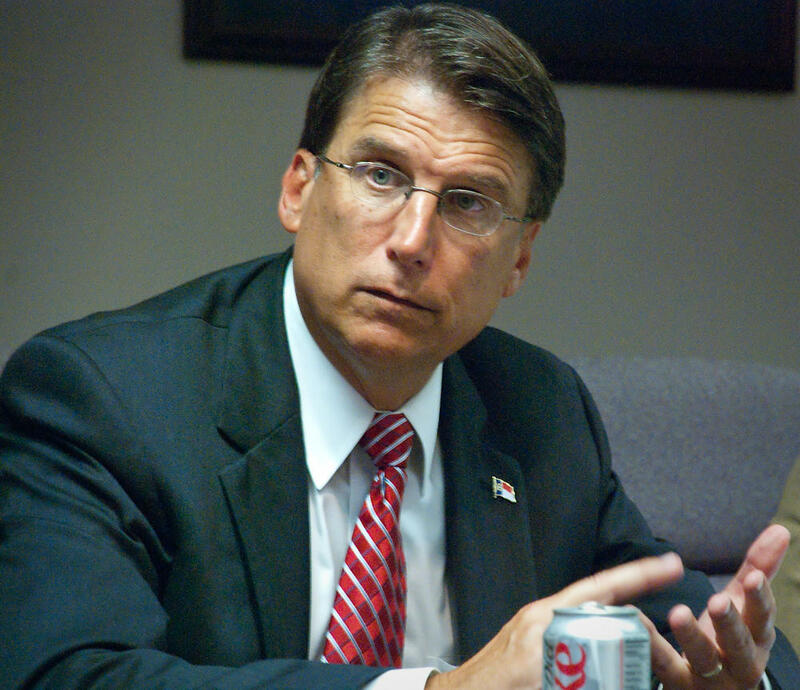 They only read what the critics say it is," McCrory said. "It's only a five-page bill and there are four parts of it, two parts that the Chamber of Commerce helped write in North Carolina." McCrory claimed the Chamber had a hand in the provision that requires transgender people to use public restrooms that correspond to the gender on their birth certificates and another that blocks local governments from setting their own minimum wages. The Chamber has denied that claim for months.